Think you can choose a house in your lunch break? Staggeringly this is the real time taken to view a home before purchase, according to new research. The survey, carried out by ME Bank, asked 1000 property owners how long they spent viewing the property they purchased. As many as half the respondents (58%) said they spent less than an hour inside the home they went on to buy. When you consider the long-term financial commitment required when buying a home this seems a drastically short amount of time, and it can hurt your finances at a time when you are most venerable. Emotions were high. They fell in love with the property and didn’t want to miss out by looking further into it. Inexperience. They didn’t know what to look for or where to start. Emotions were low. They were impatient after looking for such a long time and just wanted to settle. It is an emotional experience and it does take a lot of time and energy as well as money to secure the right home. This is the biggest purchase you will make in your lifetime which makes it a very exciting and overwhelming time, but that just makes it all the more important that you should take your time and make sure you hire the professionals who can help you toward the right decision. Nobody expects you to know all the right steps the first time you buy a home, which is why you need to hire the right services to back you up and watch your back, as well as take emotion out of the buying equation. A small amount of money spent in professional services before you buy can save you thousands, even hundreds of thousands of dollars in the long run. 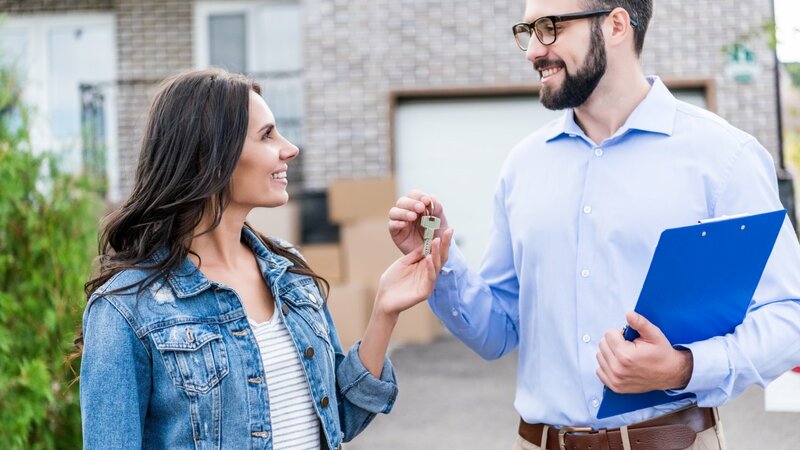 A buyer’s advocate can give you access to more homes sooner, giving you more time to look through a property and get feedback from professionals, like pest inspectors and building checks before the crowds move in. Amazingly one third of those surveyed did not arrange these crucial services, leaving themselves wide open to potentially crippling issues like termite damage or questionable structural quality. A buyer’s advocate can also ensure you are paying the right price for the right home. Playing your cards correctly doesn’t mean you have to pass up your dream home if there are some defects on the property inspection report. You can still have your dream home that turns out to be slightly imperfect, it just means you walk into the sale with your eyes open. If issues are found by yourself or a professional service before you buy you can arrange to get them repaired before settlement , or you may be able to negotiate a lower price, taking into account the money you will need to spend on repairs. The most common issues were to do with paintwork, fences and gardens as well as construction quality, fittings and fixtures. 74 percent of the peopled who completed the ME survey claimed that they found issues with their home and had to spend money (or had plans to spend money) to repair the problems. 41 percent of them would have been able to get a reduction on the home price, and 23 percent had buyer’s remorse. Strategies to make your time to buy count. An agent and owner will be happy to open the home for you at another time if you are genuine about a purchase. It’s good practice to walk through at different times of the day and week to get a proper look at the house, i.e. lighting is adequate and how the drainage is after rain. You should also pass through the neighbourhood at different times as well to get a sense of crowds and traffic, shop opening times, noise and safety. Engage a buyer’s advocate. They have early access to off market properties for private sale. They will match a property to your needs and give you early notifications when the right file crosses their desk. As many as 10 percent of homes are sold this way. Even if you don’t take up the offer to buy from a private sale it still gives you more time to look through a property and get the checks going before the property officially goes on the market. Fear of missing out can lead to buying an okay home rather than waiting for a perfect match. Spend time searching suburbs surrounding your ideal location, you never know what might be waiting for you. Your Buyers Advocate will be able to help you with expanding your search area. If they have suggestions that are outside your dream location keep an open mind and be willing to walk through to compare price and value between suburbs. The most expensive part of a property is the land. The size of land you buy reflects keenly on the price. A smaller block size means cheaper price, so if you want to reduce the amount of properties you look at that are not in your budget, stick to small plot sizes. Emotions not only cloud your buying judgement, they can get in the way of a happy relationship as well. It can be hard to juggle the request of multiple people, the husband who wants to be close to the station might feel that his wife’s needs for a safe place for the kids to play aren’t as important. During a stressful event, such as buying a home it’s important that families unite to find a home that works for everyone. A Buyer’s Advocate can help in acting impartial and find homes where everyone’s needs are taken care of. Having the help you need makes all the difference in the purchase you make and the purchase price. Buying a home is just one of those times you want to spend more than an hour doing.